Happy National Coffee Day!!!!!!! 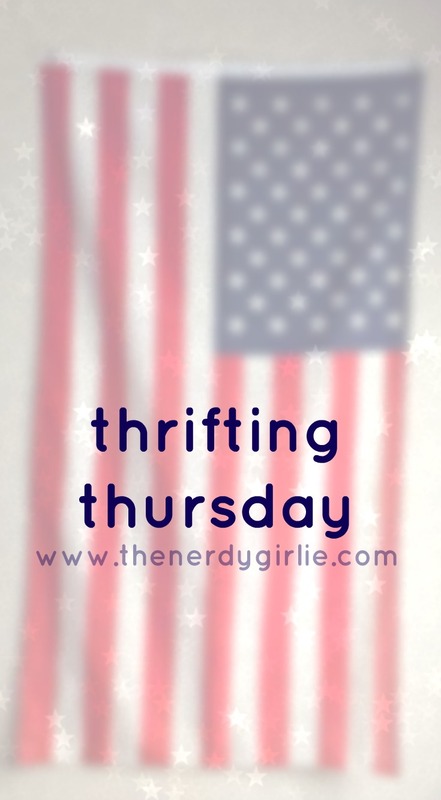 So this week's Thursday Thrifting is in celebration of that! Last week I shared with you my new love of thrifting vintage globes! Today I'm excited to share with you something I've been collecting for a while now, mugs! I've always bought my mugs, but Ocean Eyes introduced me to the wonderful world of mug thrifting. His and I's collection combined is one to be admired! He has around 20 and I have probably double that. And we just agreed we are not stopping there! How can we when we keep finding awesome gems! And for only $1 or .50 cents each?! Where do we find them? Our gold mine for mugs has to be the Arch Thrift Stores. Ocean Eyes LOVES finding ones that make us laugh and I love finding ones that remind me of things I love or from my childhood. Ocean Eyes always picks out a mug in the morning and brings it to me filled with coffee. That is the best part of my day! What will he choose? "You're Wonderful," "Domestically Disabled," "Grandma"? It is my favorite way to start the day with a smile! Like I mentioned last week, we have the amazing vintage and antique shop the Brass Armadillo here in Denver and that is where I found the McDonald's and Garfield mugs. They were more around $4 but when it comes to things from my childhood, I'm willing to spend a bit more. We had the entire Garfield collection when I was little and I cannot wait to complete it again! The middle one I found on our very first mug scavenging adventure together and it is from the San Diego Zoo! I was so happy to find that for only $1 and have a little reminder of a place I hold dear to my heart! Thrift stores are always hit or miss. Sometimes we find gems, other times nothing. But just stopping in once a week gives you a great chance of finding something special! One week I found the entire collection of Flintstones Movie mugs from McDonald's! Those I regret not getting! Do you ever have NOT buyers regret?! Share your stories of something you wish you would have bought in the comments below! And come back next week for another thrifting adventure. This week's hint is my second favorite thing to coffee....guess below! !